Why not think about using a Car Rental UK service for your next trip to the United Kingdom. We provide car rental in England, Wales, Scotland and Northern Ireland. The tourism industry continues to be an essential element of the British economy with over 30 million foreign visitors a year. The UK is ranked among the best rated traveler locations in the world due to its massive selection of varied tourist attractions. Compare car rental prices in hundreds of English locations. Popular cities include Birmingham, Liverpool, Manchester, Bristol, Newcastle. You can also pick-up your rental car at any major airport such as East Midlands Airport, Heathrow etc. Compare our cheap car hire Stansted Airport prices as well as our low cost car rental Luton Airport deals. Many tourists are attracted to the historic points of interest, such as the numerous castles, with the Royal Family providing much of the pomp and ceremony that remains in demand. 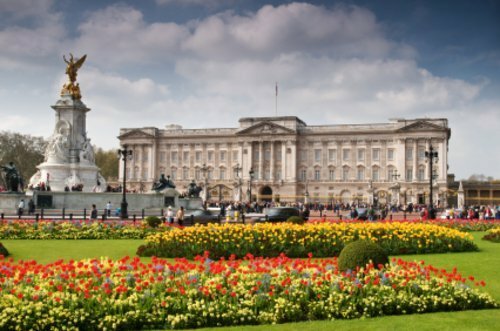 Some of the most famous landmarks and attractions are to be discovered in London, such as Buckingham Palace, the Tower of London and London Zoo. 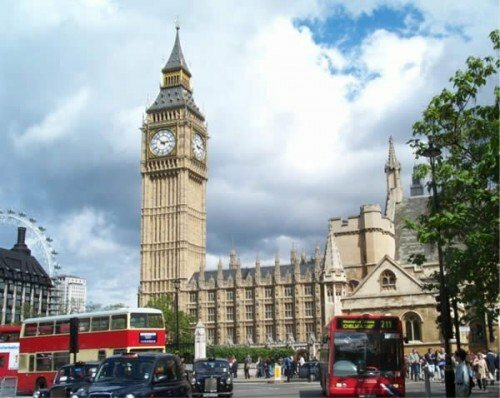 London is among the most thrilling metropolitan areas in the world and leads the list of cities to see in the United Kingdom. It is rich in both history and culture. Take your time and stroll through the numerous museums and galleries that can be discovered here. Enjoy some time at the British Museum or the famous Tate Gallery. Step back in time when you stroll via the Tower of London. Take some pictures on the Tower Bridge or with celebrities at Madame Tussuads Wax Museum. Don’t forget to stop at Westminster Abbey and St. Paul’s Cathedral. Immerse yourself in the tradition of the changing of the Guard at Buckingham Palace. This happens at 11.30am each and every day and lasts for half an hour. Mayfair provides some of the greatest spots to shop for chocolates, cigars, and antiques and Harrods is quite wonderful. Finish up an fun filled day by taking in a show or concert. You will find more than 100 theaters to select from such as Shakespeare’s Theatre. The original burnt down and was re-opened in 1997 as an open air theatre. The hotels and restaurants in London cater to every taste and budget. There are five major airports in London (Heathrow, Stansted, Gatwick, Luton, London City Airport) as well as an underground and great bus system. All this combines to make an excellent holiday in London. Scotland is tremendously popular with tourists who flock to visit Edinburgh Castle or some of the many festivals which are held all through the year. Other popular holiday places in Scotland include Glasgow of course which is an action packed city. Stirling is well-known for the historically essential Stirling Castle, Pitlochry and other towns in the Highlands like Inverness and Fort William. Cheap car hire in Scotland can be easily booked in places such as Edinburgh, Glasgow, Aberdeen, Dundee, Inverness and various highland locations. Check out our low cost Scottish rental deals. The more adventurous visitors take their holidays in the Highlands and Islands in the Inner and Outer Hebrides. Orkney and Shetland are some of the remotest areas in the UK. Scotland is recognised worldwide for its organic beauty. Among the most stunning spots to hike or bike close by is the Isle of Skye situated off the west coast of Mainland Scotland. The amazing landscapes of Skye makes this one of the top locations to go to visit. As you hike around the isle, it’s possible to catch a glimpse of Red Deer, Otters and the Golden Eagle. Wild flowers are everywhere when you walk through the hills or by the coast. Look out for dolphins and sharks on the boat tours that sail close to the Island. Take an additional day to visit the seal colony or enjoy shopping at some of the numerous craft shops that can be discovered there. Wales is a predominantly rural nation with a number of fine castles and other historic tourist attractions. The capital city, Cardiff, is both an ancient city and a young town, thoroughly modern in it’s outlook. Reserve a cheap car rental deal in Wales. Use our car hire comparison service to find great offers in Cardiff, Swansea and other great Welsh locations. Barry is a fun filled seaside location which is also worth a look. Cardiff, a city for around one hundred years has a castle which is thought to be around two thousand years old and is well worth a visit. The modern day Millennium Stadium and also the Wales Millennium Centre are some of the more current attractions and are venues for some magnificent events. The Doctor Who Exhibition is of great interest to fans of the BBC show and they will be happy to hear that the centre is a quality attraction at the moment so won’t disappoint. Northern Ireland is recovering rapidly from the troubles and is very quickly growing in recognition as a holiday destination. For many years there was conflict between people who desired the region to be returned to the Ireland and people who wanted to remain part of the UK. Today it’s peaceful and locations like Carrickfergus Castle which is possibly Ireland’s finest Medieval castle and several beaches such as Portrush Whiterocks Beach prove extremely popular with visitors. Car Hire can booked at both Belfast City Airport (George Best) and the international airport. You can also find cheap car rental rates at Derry Airport.